If there have been institutions more maligned in film than the Church and the iron curtain, they can’t have been by much. It’s one of the few things that religion and communism have in common in this world, and it ends up making for a sublime road movie in Pawel Pawlikowski’s black & white, full frame Ida. The Ida of the title (Agata Trzebuchowska) is a young novice nun who was orphaned during the war and who is on the verge of taking her vows. It’s the winter of 1962 and she has barely been beyond the walls of the convent she was delivered to as a baby when she is abruptly sent by the Mother Superior to see her last remaining family member, an aunt named Wanda (Agata Kulesza) who would not take custody of her once the war was over. Wanda is a Party judge, a severe and sharp woman who looks completely defeated by life by the time we meet her. The photo album she shows Ida — full of pictures of the family before the war, even photos of a very young Ida — does seem to spark her somewhat, but there is so much pain buried behind the photos that it doesn’t last. Piqued by the photos, Ida wishes to visit the family’s home town and see the graves of her parents once before she returns to the convent and takes her vows. In the end though, this is a World War II story, and nothing is pretty and neat. Her parents have no graves, Wanda tells her. The family is Jewish and was betrayed by neighbors who had been helping to hide them. Ida, maybe partly from naivety, is undeterred in her wish and the two set off to the country knowing the potentially destructive power of what they might find. Newcomer Agata Trzebuchowska is a revelation as Ida. It’s an unassuming, quiet role, one that requires that she spend most of the film covered in a habit, but it doesn’t hold her back in the slightest. She smolders under her coif, giving a teasing, knowing performance where less is more, doling out hints to a much richer inner life than one might imagine from the outside. It’s remarkably assured and minimalistic, not at all kind of performance you expect from a first time actress. As her travel partner, Agata Kulesza has a more traditional repressed role, but expresses it with aplomb at every step. The pair are at their best when Wanda asks Ida if she has sinful thoughts. The smirk that Trzebuchowska delivers is playful and devastating you want to bonk her on the head with an Oscar for it. The stark black & white cinematography is gorgeous, conveying the coldness of the scene and Ida and Wanda’s emotional states perfectly. It’s something that the full frame aspect ratio helps with as well. I haven’t been a fan of the reemergence of full frame photography, but something about it here is so fitting that I can’t find fault with it. It almost gives the film a sense of being in a time machine, as if the film were actually shot in the 1960s when the wounds of the war were still fresh and just starting to scab over. In a film full of opposites in an orbit of attraction and repulsion, it helps adjust our focus. It’s a declaration that Pawlikowski doesn’t want to waste our time, and he doesn’t. 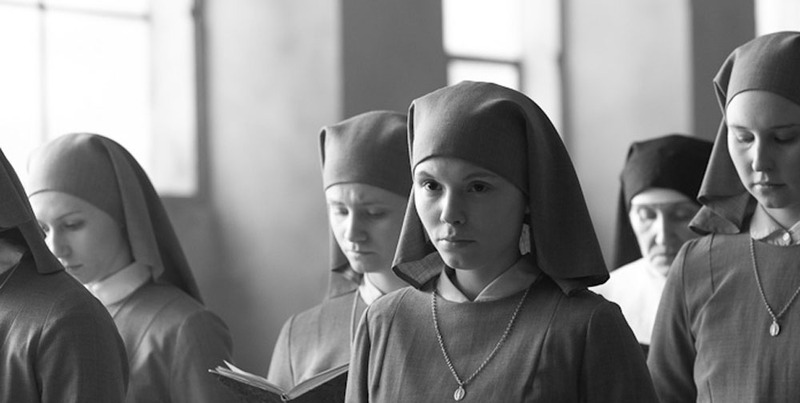 This entry was posted in Film and tagged 2014, Agata Kulesza, Agata Trzebuchowska, Drama, iron curtain, Pawel Pawlikowski, Poland, Religion, WWII. Bookmark the permalink.